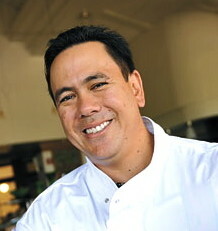 Chef Kyle Kawakami was born and raised in Kula, Maui. Having grown up in the rural farming community of upcountry Maui, he gained an early appreciation for the bounty that Kula had to offer. Working in the culinary field throughout high school, Kyle left Maui after graduation and attended the University of Hawaii at Manoa, earning a bachelor of arts degree in Zoology. Returning to Maui after being 8 years away, Kyle had an opportunity to pursue a full time career in culinary arts, and enrolled at Maui Community College. He graduated top of his class and was awarded the prestigious Chancellor’s Regent Award and Outstanding Culinary Award. Throughout school Kyle worked under the guidance of Executive Chef Tylun Pang at the Fairmont Kea Lani resort. In 2004, Kyle had an opportunity to return back to school, this time as an instructor. He has taught a multitude of classes such as skill building, garde manger, batch cookery, short order, and advanced fine dining. In 2013 he left the college to, once again, pursue a new dream of owning a gourmet food truck. 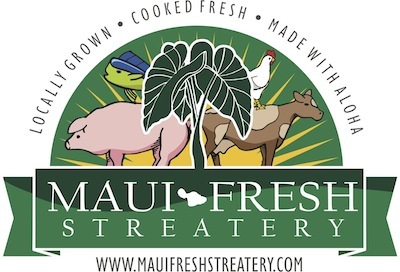 In August of 2013, this dream became a reality, and Maui Fresh Streatery arrived on the streets of Maui, bringing gourmet food, cooked fresh with ingredients grown and raised on Maui. Chef Kyle hopes to use this mobile gourmet kitchen to expose diners to the wide variety of cuisines found throughout the world, as well as educate the students of Maui about the benefits of eating healthy and local. You can follow the locations and menus of the Maui Fresh Streatery truck on various social media sites.